Set back from the road and snuggled amidst blossoming apple trees this comfortable Ranch offers expressway access & is in "Move In" Condition! Formerly part of Erwin Orchards with many remaining orchard trees! Neutral carpet, newer laminate & paint, fireplace in living room, mostly Anderson Windows, most appliances included. Door wall to newer deck overlooks retired orchard and open field. Family room has beamed ceiling, door walls and insulated sub-floor. Updated furnace, water heater, roof and sump. 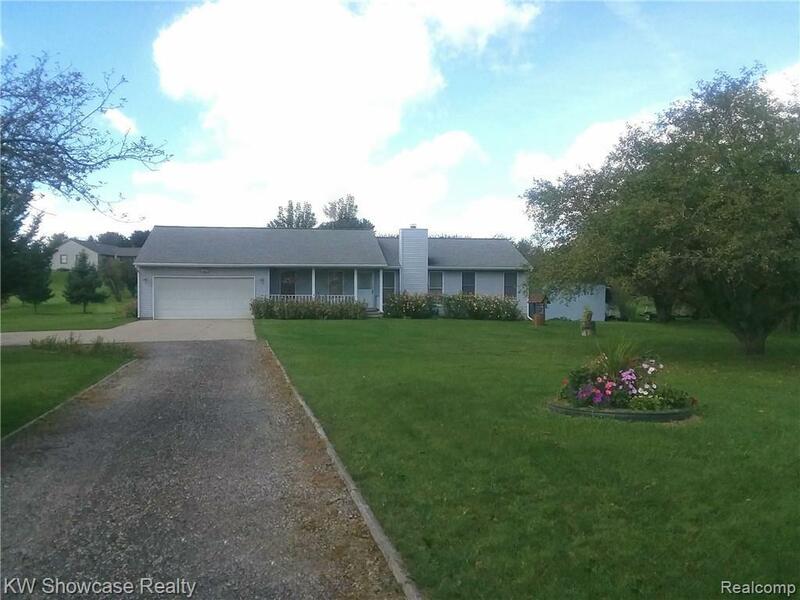 A great home with farm like privacy. Excellent South Lyon Schools.